There are specific reasons people choose to buy one product over another. Selection criteria might be made based on size, color, texture, fit, cost, what your girlfriend said or what your mother prefers. There is a lot to consider. If you are going to be pleased with your purchase you want to enjoy what the product provides and be happy with the benefits, service, and results. Choosing where to receive your paralegal education is no different. Size of classes, depth and breadth of courses, tuition, class structure, graduate success, and employer satisfaction all play into making the right choice. Here are 8 things to consider when choosing the right paralegal program. 1. Specialization. Today, people understand the importance of specialization. Probably foremost from experiences with the medical field. A more recent move to specialization has taken place in law firms. It makes sense; focus on a specific area to gain more knowledge, ability, and success. CALS specializes in paralegal education. Everything about Center for Advanced Legal Studies focuses on training you and advancing your career as a paralegal. Every dollar spent, faculty member hired, staff position created, textbook selected, and graduation ceremony organized is about your success as a paralegal. Center for Advanced Legal Studies thinks, eats, breathes, and sleeps the paralegal profession. 2. Accelerated and Effective Programs. Everyone knows that time is money and we are busier now than ever before. So like the rest of us, students are always looking for the quickest way to get somewhere or do something. In this case, the point is to get an education and begin an enjoyable career. Not surprisingly, the length of a paralegal program may or may not be the best indicator of an excellent, substantive education. A lot depends on content, instruction, teaching format, and the student. Having said that, CALS has accelerated its programs in a manner that allows you to complete in as little as 7 months (paralegal certificate program), yet provides substance, skills and knowledge in enough areas of the law to be effective and increase employment opportunities of graduates. Some paralegal programs offer short-term on-campus or online paralegal programs assuming graduates are prepared to work alongside attorneys. Really? According to U.S. News and World Report, the average law school indebtedness of 2012 law school graduates with debt was $108,293. Tell an attorney who spent over $100,000 and 3 years on their law degree you are ready to 'help' them after a couple of courses and a few hours of training. Not very believable. 3. Career Services. Most of us don't attend college because it is how we prefer to spend our time. In a perfect world, it would be a fine way to while away the hours, and hopefully also very enlightening. In today's competitive market, we generally believe college is the pathway to living our dream. In the case of paralegal students, the dream is to be a part of a professional, respectful, challenging, and important career field. The paralegal profession. If you are interested in beginning or advancing your paralegal career, Center for Advanced Legal Studies has 27 years of experience helping students accomplish this goal. 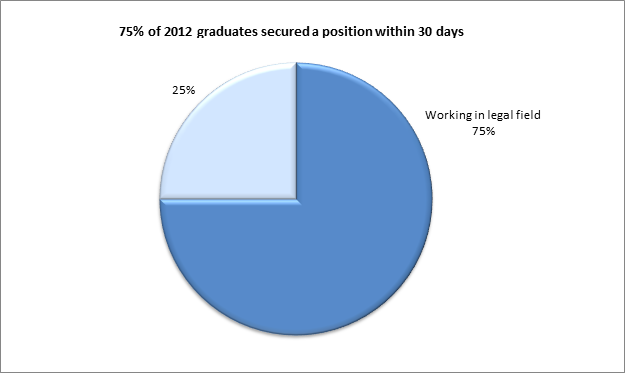 In fact, in the most recent survey (2012), 93% of CALS' paralegal graduates secured a position within 90 days. 75% within 30 days. How do we do this? 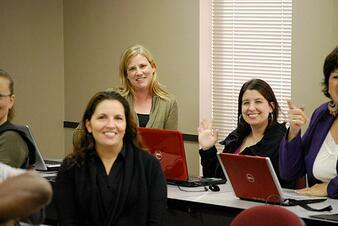 CALS provides personal one-on-one career coaching for online and on-campus graduates. 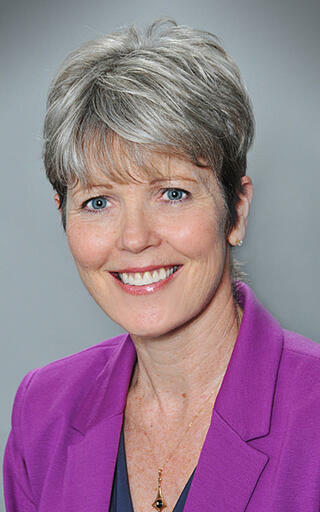 The Director of Career Services has not only developed personal relationships with employers throughout Texas but is also utilizing an online interviewing technique that allows employers from across the country to quickly and easily review graduates' resumes, videos, and class projects. 4. Technology. If you are interested in attending on-campus or online paralegal programs, researching the technology used to help organize your class and for online class presentation is important. The technology used impacts a student's a) enjoyment of the class, b) level of understanding, and c) success. In the January, 2013 issue of Forbes Magazine, Jeremy Johnson, Cofounder of 2U indicates that in order to have an online experience that has the same student outcomes, the same level of quality as on-campus (classes) at the best schools in the word it requires actual interaction with professors, small group classes and real adissions standards. Center for Advanced Legal Studies offers all of this. Blackboard is recognized by students and faculty around the world"
Learning to utilize premium educational technology will make the difference in your online paralegal program experience and in the end can help you advance in your career. 5. Friendly Staff. Most of us assume that no one selects a college based on the 'friendliness' factor. Yet, the friendliness of our staff is something our students comment about frequently. Why? It's important. Don't you like to spend your time with people who care? CALS students are happy students. Quite often our Admissions Advisors are thanked for being so informative and our staff for being so helpful. It surprises me to hear that there are colleges out there that are reluctant to provide information to help the decision making process. Makes me curious. Actually, the fact that we care about your professional choices and future is why we keep doing this. Your success matters to us from beginning to end. We help you when it gets hard and celebrate your successes with you along the way. In fact, now 'days there might be nothing more important than attending a college that makes your success their business. 6. Expert , Committed Faculty. Most paralegal programs have faculty who understand and have experience in the area of law in which they teach. In some online programs, the only way you know of your instructor is in the videos you watch. Here, on-campus and online paralegal faculty are hired because of their passion for teaching and desire to invest their experience in your future. CALS' lead faculty have an average of 18 years of instruction with Center for Advanced Legal Studies. That has to be a record! They are faithful. And, they have staying power because they understand the impact of their instruction on students' lives, the legal community, and the clients that are served. In other words, their expertise and committment in helping students make a difference in the lives of others - makes a difference. 7. Tuition. My parents always valued education. I knew that growing up. I remember my dad often saying that "education is the best investment a person can make." This from a financial advisor. Anyway, I agree. The question isn't "is there value in receiving an education?" Or, "how much does this education cost?" The best question is, "what am I going to receive in return for my investment?" I'll be the first to admit that the tuition of other programs may appear to be less than the tuition at CALS. But dig deeper. What do you receive from your education? How much will you gain by attending? Does it matter that you attend more or maybe fewer classes? What is the paralegal program's track record? 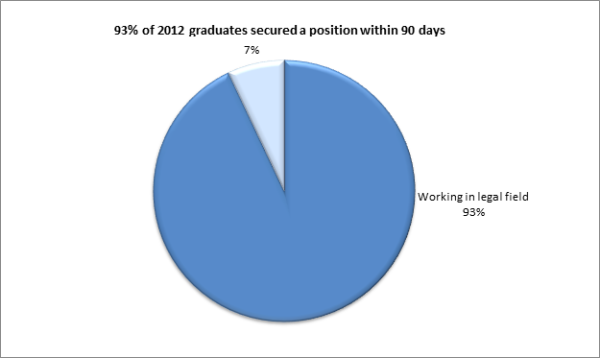 What about graduate success? Does your tuition help fund other programs or are you paying only for your paralegal education? Is financial aid available? Is there a program satisfaction guarantee? Based on the college's historical data, will you likely be employed upon graduation? As a private college that specializes solely in paralegal education, you will find our tuition comperabale to the tuition of most state funded institutions and quite a bit less than other private colleges. Center for Advanced Legal Studies knows and appreciates the investment our students make and the trust they place in us. We take this very seriously. That is why at CALS, we believe there should be a career at the end of your program and we have been successful in helping make that happen thousands of times. 8. Employer Satisfaction. In the end, employers of paralegals are the key to validating a paralegal program. As an example, very recently a gentleman contacted CALS after researching a variety of paralegal programs. He then spoke with two attorneys in order to gain their opinions and suggestions about various programs prior to enrollment. They both referred him to Center for Advanced Legal Studies. This is not an exclusive instance, but it is an important one. Based on experience, who do employers of paralegals come to trust? Graduate performance and the service provided by the Director of Career Services is their determining factor. As implied in the beginning, choosing the right paralegal program requires research, diligence, and asking good questions (all important skills for paralegals, by the way). And like most investments, the program should be a good fit and provide positive results. Oh, and as a reminder, a little advice from your mom may still be a good thing. For more help, click here to request your Free Guide to Choosing a Paralegal Program. As co-founder and administrator of CALS, Gail focuses on providing excellent services, programs, resources, and results to students. She is passionate about helping students accomplish their goals through completion of CALS' paralegal programs.